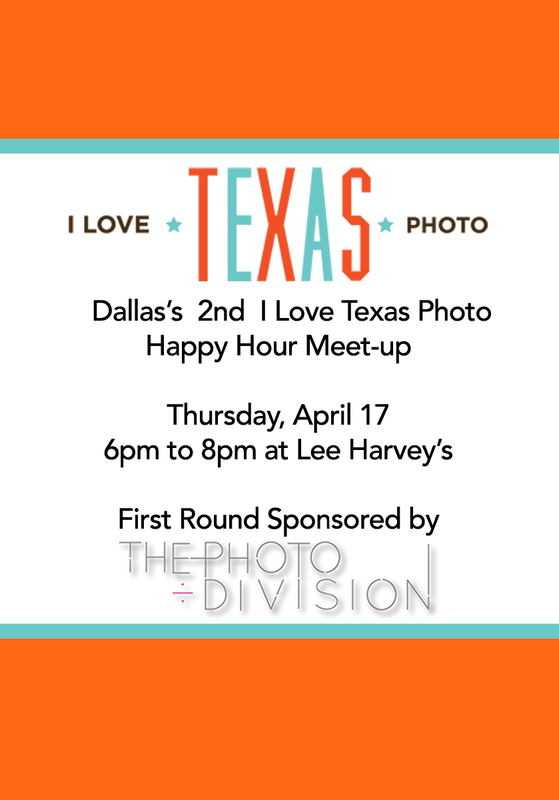 It’s I Love Texas Photo’s second Dallas meet-up! We’re getting together with area photographers, photography lovers and other creatives to get social and grab a drink. The last one was a blast so come out and join us! The first round is being generously sponsored by The Photo Division!! We’ll be giving away 2 ILTP T-Shirt’s.